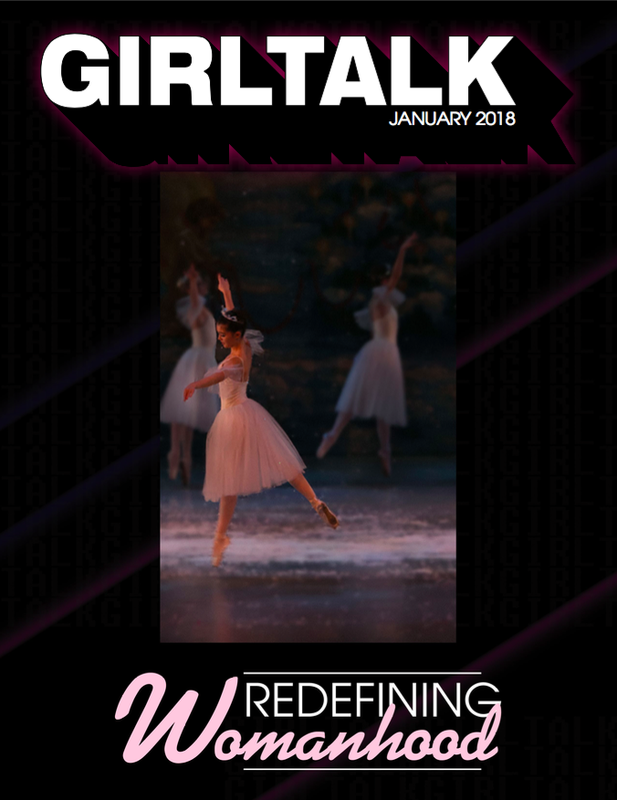 Welcome to Redefining Womanhood, the fourth issue of Girl Talk Magazine! Mass media devotes a significant amount of time to women and their bodies, especially today. Advertising promotes the idea that women are expected to adhere to a particularly crafted body and beauty standard with defined facial features and hair color. Imagery that narrowly define womanhood occupies our TV and computer screens. Perhaps the most prominent conversation about women’s bodies taking up the most media space today began with Harvey Weinstein and was followed by an abundance of allegations reporting sexual harassment and assault. Many of these cases had been kept secret for decades, despite the fact that everyone knew they were occurring. Girl Talk Magazine’s second issue, The Body Issue, addressed body image on a personal level, its role in our lives, and how it affects the way we perceive ourselves. While Redefining Womanhood still contains self reflection, it focuses the issue of women’s bodies with a more global perspective and the role they play in interactions between individuals, communities, and nations. Along with pieces about consumerism shaping society, school's’ approach to health class, reproductive rights, and many others, we got the opportunity to speak to women who are making marks on the world each day. Our conversations with Emine Bozkurt, advisor for the IDEA organization, reproductive justice activist Brittany Brathwaite, and a woman who witnessed the daily wrath of Harvey Weinstein at Miramax enhanced our understanding of the complexity of womanhood in a rapidly changing world. This jam-packed issue begins with girls from all over the world expressing gratitude for women they are grateful for. With an approaching season filled with giving, there are countless women who deserve appreciation each day.